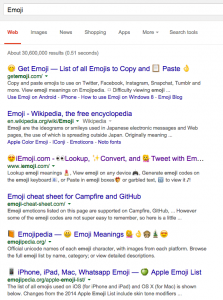 Welcome to the April 2015 Google Algorithm Report. 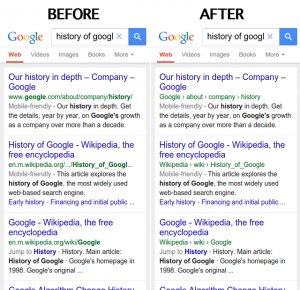 This is your monthly digest of Google algorithm related news from the past few weeks. This month we’re looking at the latest mobile ranking news, Panda, Penguin, Emojis and Android app ranking. The Mobile Friendly Algorithm has finally hit, and we at Studio-40 have seen plenty of movements with our clients’ websites. Make sure to check your own sites to see how much you’ve been affected, and if you need any help recovering, don’t hesitate to give us a call and we will give you our expert advice. 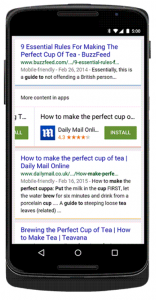 Google has recently been trialling a mobile-friendly label in AdWords results, indicating that mobile-friendliness could potentially be a factor that affects quality score in the near future, thus increasing cost-per-click for non-mobile-friendly websites. John Mueller recently stated in a Google Hangout that he doesn’t think that either Penguin or Panda are currently updating regularly, despite previous indications that both will be running in real time, constantly. We will keep our eyes on this as and when it develops and we will let you know as soon as there is more news. In a recent Google Hangout, John Mueller of Google stated that the Panda algorithm hasn’t been updated or refreshed in about 6 months now, the entire industry is watching and waiting for this and there is no other news to report, but we will share any information we get as soon as we get it. 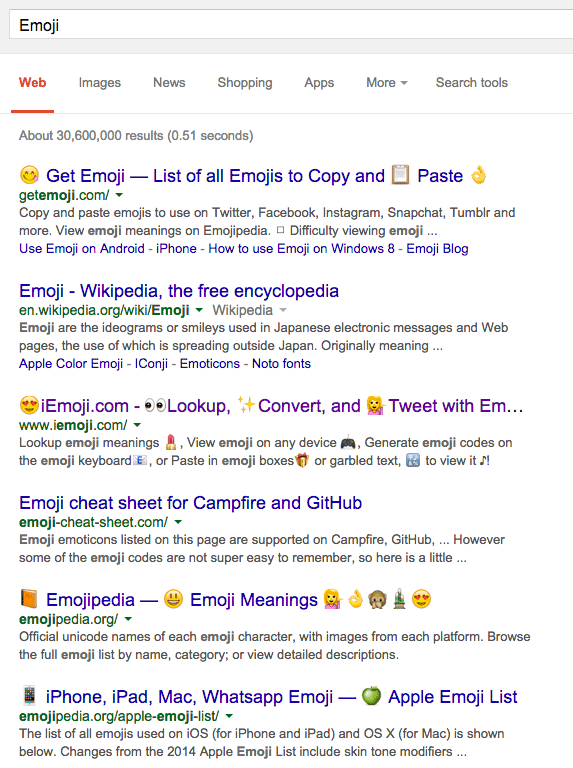 Webmasters now have the ability to include emoji characters to their website’s Meta titles and descriptions, these have been visible in mobile results for some time, but it’s only just been enabled for desktop. 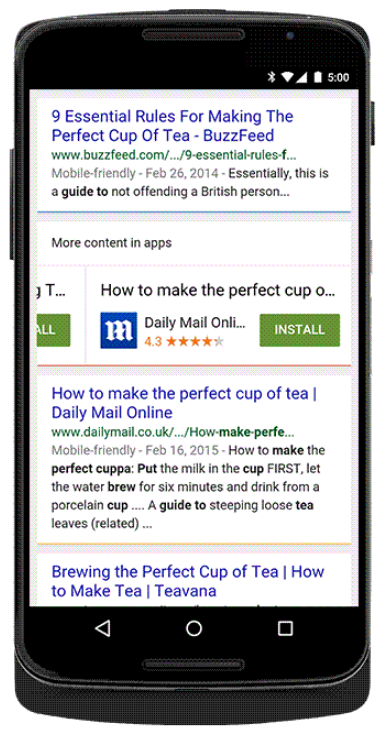 Android apps can now be indexed in search results and returned for relevant queries, even if the app is not installed. Previously this feature was working only for apps that are installed on the users’ device, but with this change it gives companies the opportunity to get their app seen if it is relevant. 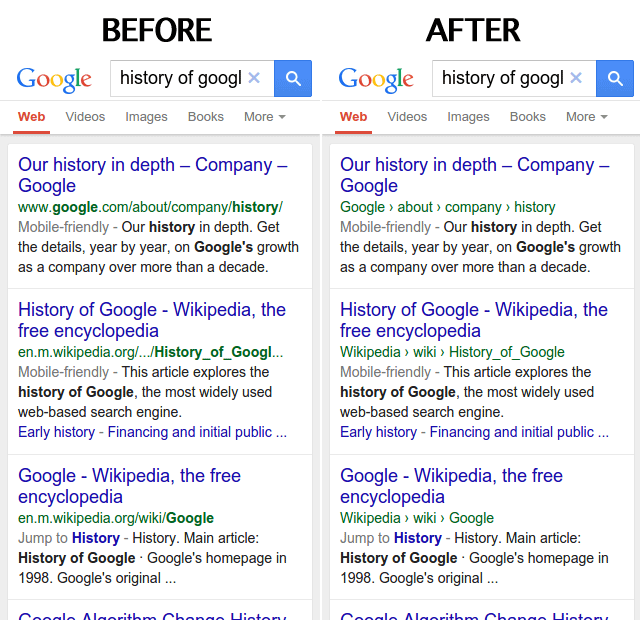 Google announced last night that the mobile search results are no longer going to display the site’s URL in the search snippet; instead it will display the site name when it is able to and the breadcrumb navigation of the page it is on. Panda has not refreshed or updated in five and a half months, at least since October 24th whereas the Penguin updates last happened on December 6th which was over four months ago.